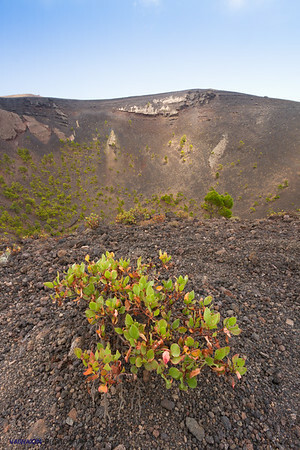 Aichryson bollei, This popular plant, called 'oreja de ratón' (mouse ear), is one of the endemic species typical of the island of La Palma. Cubo de la Galga, La Palma island, Canary Islands. Spain. 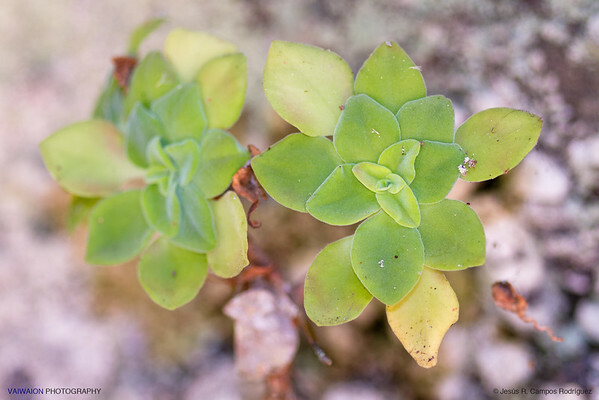 In the Canary Islands, this plant is called 'Vinagrera' (Cruet). In the background you can see the crater of the volcano of San Antonio, located south of the island. La Palma island, Canary Islands. Spain. 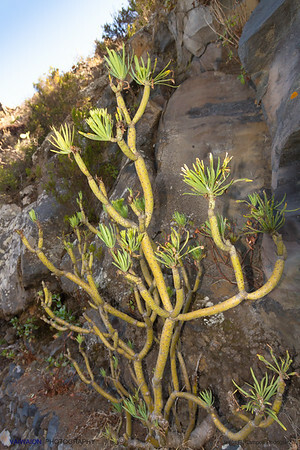 Euphorbia lamarckii. One of the striking endemisms in the Canary Islands. 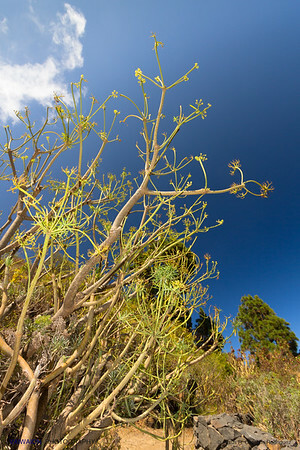 In the Canary Islands, this plant is called 'Verode'. It is another one of the striking endemisms in the Canary Islands, and very common there. 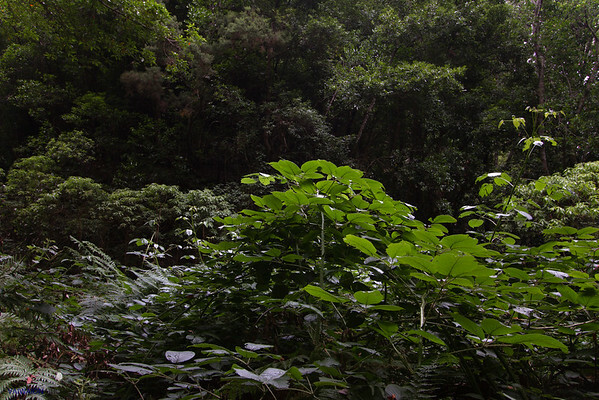 In the Canary Islands are some of the last holdouts in the world of the ancient laurisilva or laurel forests. 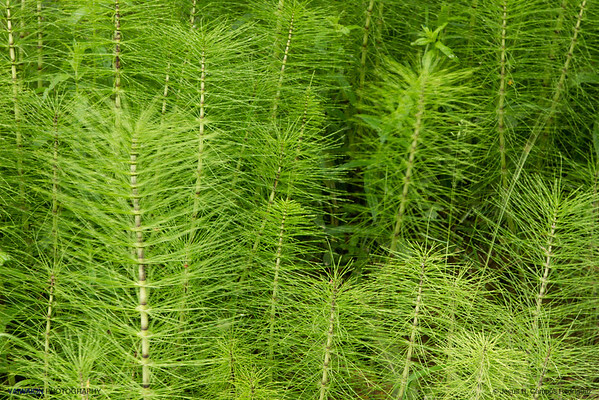 It is a botanical paradise. 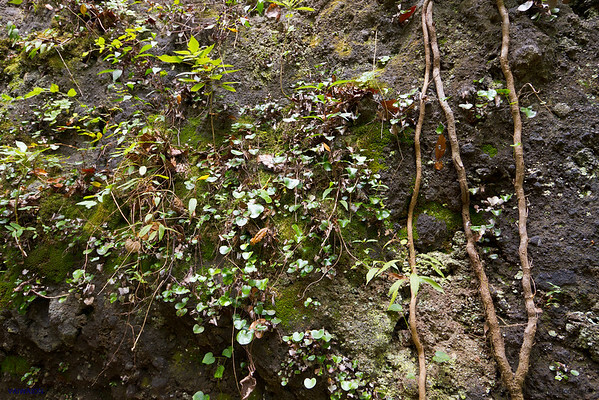 In the photo, you can see the leaves of an endemic canary species, rubus bollei. Cubo de la Galga, La Palma island, Canary Islands. Spain. 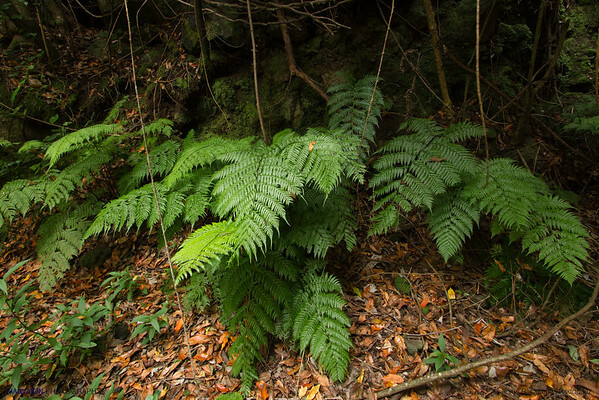 'Helecho macho' (male fern). 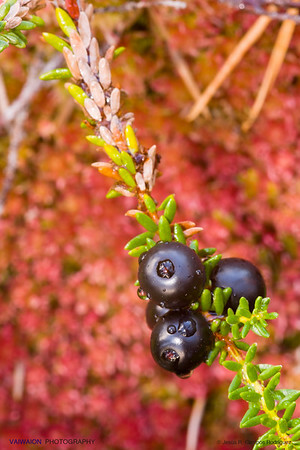 Endemic to the Canary Islands. Cubo de la Galga, La Palma island, Canary Islands. Spain.